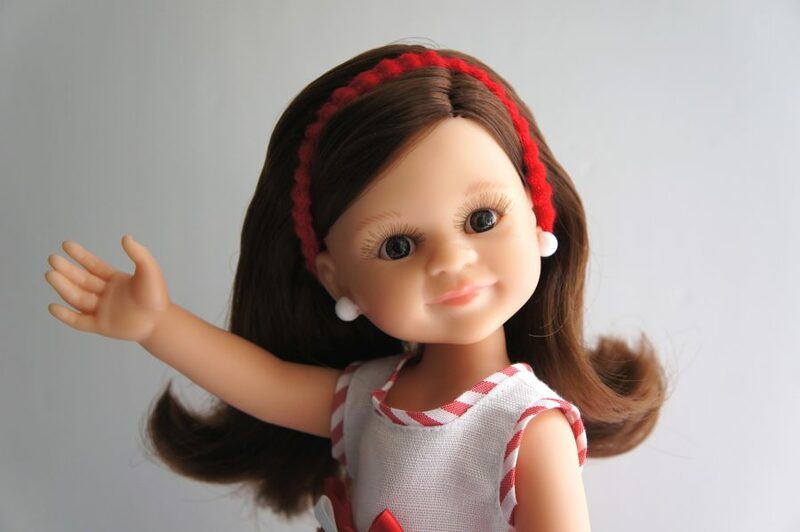 Las Amigas dolls are small standing dolls that have been made entirely in Spain by Paola Reina using materials sourced from within Europe. They are 32cm/13″ all vinyl dolls with Paola Reina’s trademark vanilla scent. 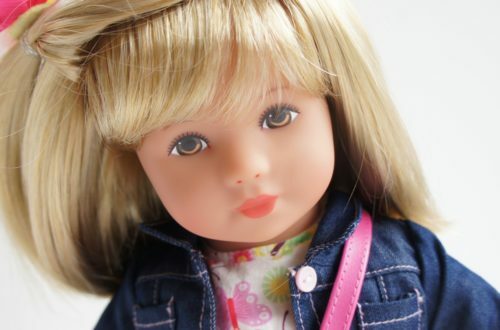 The dolls are quite slim and based on the body shape of a pre-teen girl. 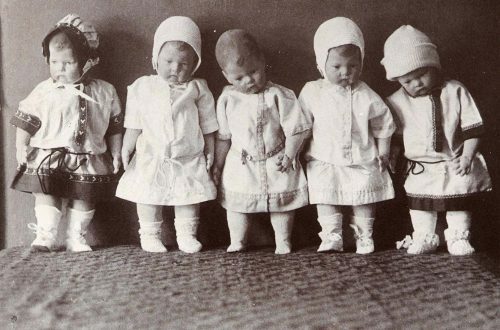 Their heads turn and their limbs swivel, and they have most in common with Corolle’s Les Cheries dolls. The hair of Las Amigas is securely rooted, plentiful and really good quality so is perfect for endless brushing and styling. Their faces are so pretty with inset/fixed eyes made using sparkly acrylic glass which are really set off by the long fibre lashes on the top eye lid. 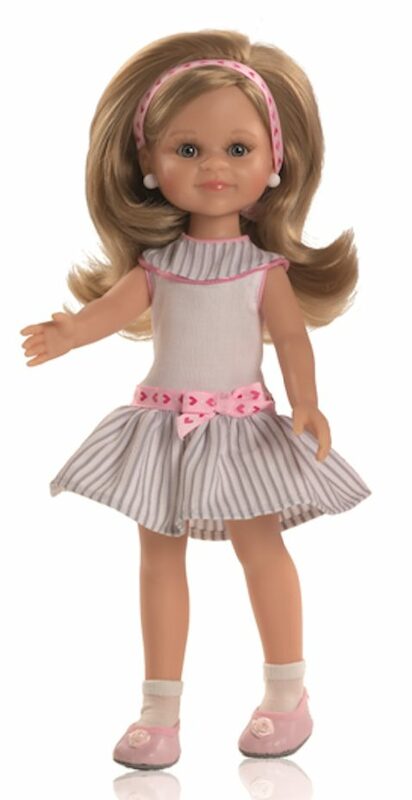 They are lovely little dolls that are very transportable so great for trips out and holidays. Paola Reina also make extra clothes and shoes for Las Amigas which are sometimes available separately from some retailers. 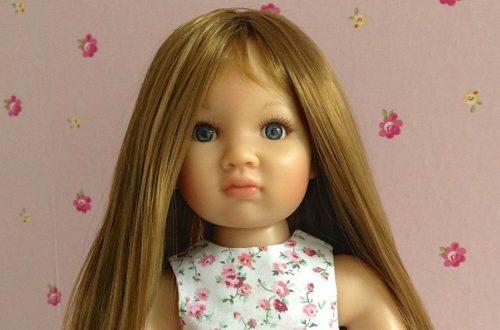 Every year the range of Las Amigas dolls that are made available by Paola Reina increases and at the moment there are pages and pages of them on Amazon. A good selection is also held by our friends at Un Bonheur de Collibri.